Saturday, August 21 on Grand Isle, LA, we went out on an offshore charter to get the perspective of the local fishermen who depend on these waters for their survival. 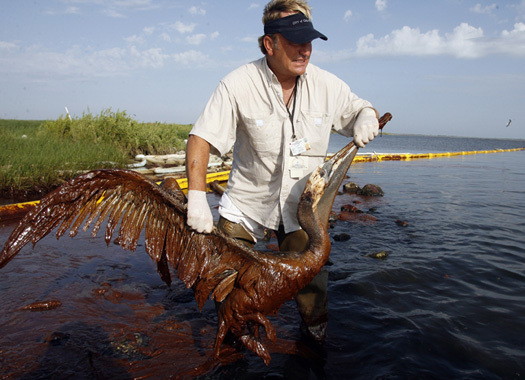 While we were offshore, our Captain, Kenny Heikamp told us his first-hand experiences and heart breaking stories of the birds that were the caught up in the oil from the BP spill. These are photos that Kenny took with his phone on his boat during the peak of the oil spill’s impacts off Grand Isle. He has been up close and personal with these impacts in a way that few others have. The birds of this coastal region are every bit a part of the spirit of the communities as the people and the fish. During our short time on the water, we saw some remarkable aerial displays by birds in the area. Something about their presence makes the experience of being out on the water more soothing. It’s hard to imagine how difficult it must have been for these birds and the brave individuals charged with saving them from this disaster. 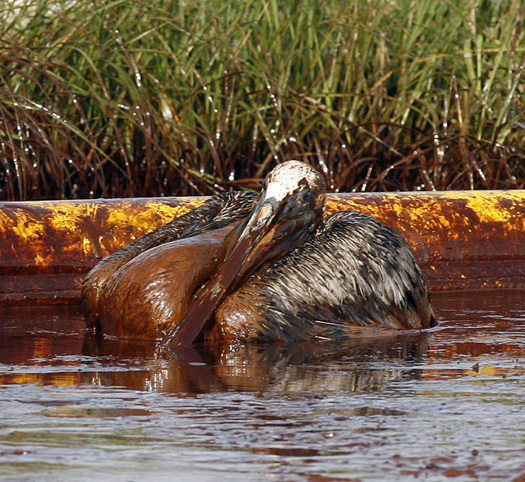 Kenny’s testimony underscores this tragic consequence of the spill. Thank you, Kenny for sharing this side of the story with us.